The Robert Sorby® M2 HSS Curved Scraper features a curved end profile, which makes it excellent for creating, smoothing, and blending curved surfaces in bowls and spindle work. Comments On Nov 27, 2016:Came sharp and ready to use. 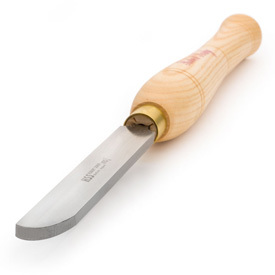 Sorby tools represent a great value for the money, I have several, in fact, almost my entire setup are Sorby tools.